Observation notes: On cultivated canna plants, I observed numerous leaf flaps sealed shut with silk. 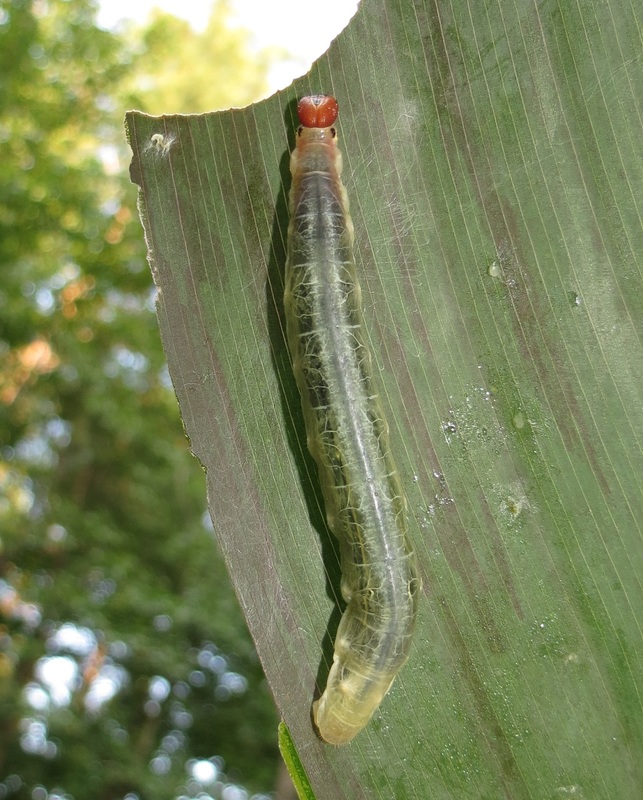 Each flap contained a single caterpillar. The plants have been grown in situ for ~5 years and have never hosted these caterpillars before. Orange County, North Carolina.